Before we can naturally fight migraines, we first have to know what migraines are, what causes them, and what their phases are. Then, we will be able to look for natural, simple ways to fight them from our own homes, and avoid excessive use of medication which will help us take care of our bodies in the long run. Migraines consist of acute and severe pain on one side of the head; this pain can be accompanied by nausea, vomiting, and hypersensitivity to light and sounds. A migraine episode usually lasts anywhere from 4 to 72 hours. Migraine sufferers are more often found to be women, and they are caused by vasodilation, or the increase in size of the arteries found in the brain. People who suffer from migraines often say that relatives have them as well. This occurrence lends support to the theory that there is a genetic (or hereditary) basis for migraines. Menstrual cycles: migraines usually appear a few days prior to menstruation. This isn’t a situation we can avoid, so it’s better to think ahead of time of ways to alleviate the symptoms. Stress and tension: any state of preoccupation or worry isn’t favorable. Alcohol: don’t confuse a migraine with the headache or pain caused by abusing alcohol. Fasting: skipping meals can cause a migraine episode. Artificial flavors and colors: especially those containing Monosodium Glutamate (flavor intensifier), which is commonly found in packaged foods. Environmental factors: loud noises or very bright lights, for example. Changes in sleep cycle: both from sleeping too much and too little. Strong odors: sometimes from a volatile substance, such as the alcohol found in colognes, or other substances affecting our sense of smell. In the first phase, we find prodromes, or symptoms that can present themselves hours or even days before the migraine episode, such as blurry vision, irritability, etc. The second phase is known as Aura and also consists of symptoms prior to the pain, but they don’t last as long as the prodromes, perhaps between 20 to 60 minutes and gradually appear and disappear in this phase. The third phase is where the pain shows up, beginning mildly at first and increasing to a severe level. The sufferer at this point needs isolation in a dark, quiet place. The last phase, also known as resolution: The pain gradually reduces until it completely disappears. At the end of the migraine episode, sufferers commonly feel very tired and drowsy. They must take an appropriate period of time to rest before they return to their daily activities. Essential oils of rosemary, lemon balm, chamomile, and lavender. We should dilute a few drops of these oils in olive oil and use it to massage the temples. Foot baths. Add 3 or 4 drops of mint essential oil to a container with warm water and submerge your feet. Relaxation techniques: for example, while relaxing in a comfortable sitting or reclining position, do deep breathing exercises where you can feel your lungs filling and emptying, or focus calmly on your heartbeats without thinking of anything else until the throbbing subsides. Yoga, meditation, and massage have also produced positive results. What types of plants can help? 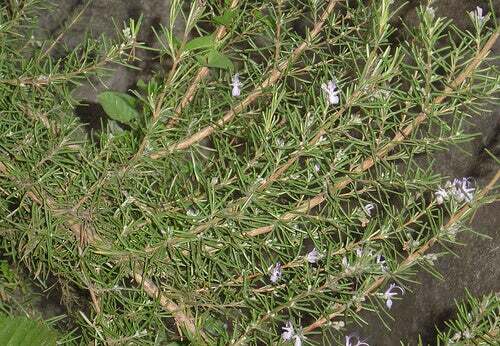 Rosemary: alleviates the malaise from menstruation and in turn, it also helps alleviate migraines symptoms. Make an infusion with one tablespoon of the flowering tops. Drink 2 cups per day. Valerian: possess relaxant and sedative properties. Relaxes the nervous system and the brain. Make an infusion of 15 grams of the root of the plant, letting it stand overnight. Passion flower: improves symptoms of anxiety and stress. Make an infusion of 2 tablespoons of the dried plant in a half-liter of water. Drink a couple of small glasses per day. Mint: Serves as a relaxant for the central nervous system. It is an analgesic. Make an infusion with one tablespoon of the flowering tops per cup of water and drink a couple of glasses per day. Lastly, we must add that it is also necessary to have good nutrition habits, get enough rest, and of course, avoid those triggering factors so as to prevent migraines which are found so commonly nowadays.